Picture yourself on a treadmill and the faster you walk or run, the more new clients you add to your gym membership base. At the same time clients are dropping out and, to stay in business, you have to keep adding new ones to replace them by running faster. 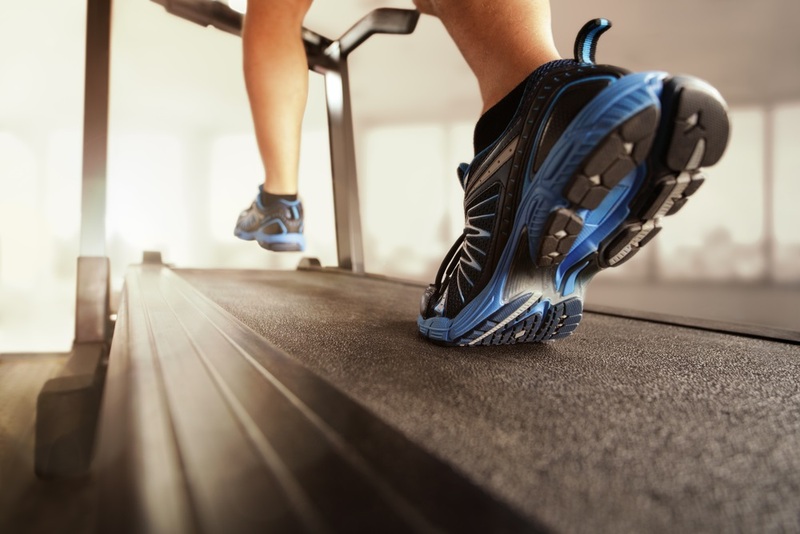 The metaphor of the treadmill could become a nightmare if your client acquisition doesn’t keep up with your cancellations. This picture shows the paradox of retention, and if you’re struggling, it’s like watching yourself in an episode of the TV classic series, the Twilight Zone. The longer you can retain fitness club customers, the more profitable it is to add new ones to the club. Perhaps the treadmill analogy is a misdirection in one sense; you don’t really get to slow down if you have net positive retention. The nature of being an entrepreneur in any profession is that you live with uncertainty. In fitness, where your club lives and dies by the feelings and choices of the people who join up and pay monthly, the struggle is very human. As a gym business owner trapped in this metaphor, you have to be running flat out on the treadmill at all times. The reason is the uncertainty of the future; you never know what is around the corner. The good news is that if you push the entrepreneurial treadmill for Olympic Gold, and maximize your retention rate, you’ll have a very successful business, and you can step back to coach a team of talented managers who power multiple treadmills (your company) in your place. There are many ways to acquire new club members; the key is to create brand awareness, connect with the consumers in your market segment, and entice them to join. The techniques range from bootstrapping hacks to well-capitalized professionally done marketing campaigns. Turn your demographic of consumers into an audience and convert these watchers into joiners once they can see the big-picture benefits of being active members. If you have ample funding, you obviously have more options. However, whatever your resources, it’s up to you to energize the business with hard work, enthusiasm, and leadership. In one form or another, you will find yourself on a treadmill of work to make your gym a reality. Retention is an entirely different concept, one that is about information, details, and insights. The more you can refine the insights you capture from the data, the higher the level of efficiency you can achieve. For gym business owners, retention is a never-ending battle. If you lose no clients in a month, quarter, or year, you have perfect retention for that period. However, that is an unreasonable expectation if you are dealing with hundreds or thousands of members. The inverse is the real problem, it’s the cancellations that hurt, and which you’re fighting to minimize. Cancellations are an unavoidable cost that you will have to deal with as part of a fitness club. The old saying that it’s a numbers game is still true today as ever. When you launch your club, you’re building your gym membership base and tracking client behavior. Unless you have data from a similar source that you can use as Bayesian Priors, you have to wait until the membership begins to turn over. In either case, you have to work to accumulate data about how customers behave in a statistical sense. That data is gold dust that you can turn into insight. Information gives you a big-picture view of retention rates. If you can gather the information together, it will show you the way that membership cancellations happen. If you can refine the picture, you will see the events that lead up to losing customers, such as non-attendance. You can develop responses to events such as cancellations or non-attendance that bring back the faint of heart to the fold. Gym Insight is designed to support gym business owners by facilitating client acquisition and retention. We make setting up new member accounts frictionless and fast. The Insight Software Suite helps you with reports that point out the leading indicators. You can find the patterns that lead to cancellations and flag the early indicators. Information like this gives you the power to create a strategy that raises the standard for retention to the next level. Fagan, Lawrence. A Pro Tip For Small Gym Business Client Acquisition. October 30, 2017. https://blog.gyminsight.com/4705-a-pro-tip-for-small-gym-business-client-acquisition/ (accessed December 27, 2018). —. Fitness Business Decisions Based on Bayesian Priors. September 21, 2018. https://blog.gyminsight.com/5164-fitness-business-decisions-based-on-bayesian-priors/ (accessed December 27, 2018). —. How Client Programming Consolidates New Member Retention. April 29, 2018. https://blog.gyminsight.com/5000-how-client-programming-consolidates-new-member-retention/ (accessed December 27, 2018). Skok, David. Startup Killer: the Cost of Customer Acquisition. December 22, 2009. https://www.forentrepreneurs.com/startup-killer/ (accessed December 27, 2018). Stowell, Jason. 100 Sales Tips for Fitness Professionals. August 15, 2018. https://clubsolutionsmagazine.com/2018/08/100-sales-tips-for-fitness-professionals/ (accessed December 27, 2018).